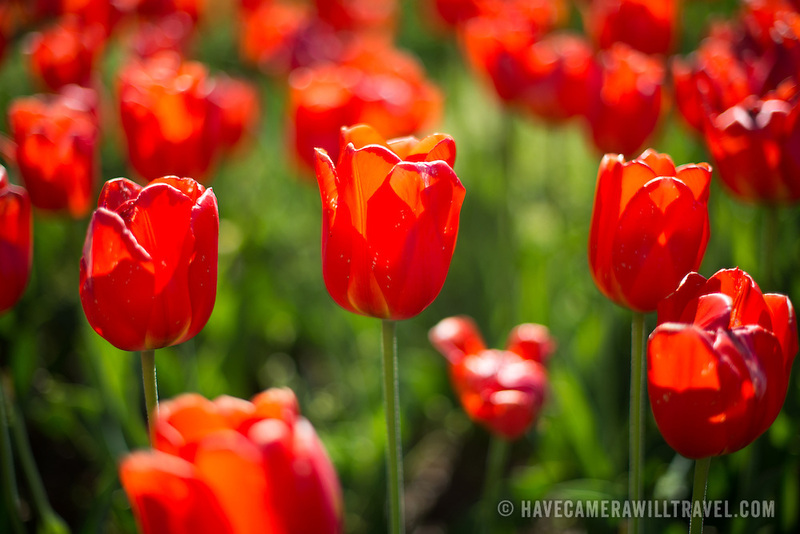 Beautiful red tulips in bloom at the Netherlands Carillon next to Arlington National Cemetery and the Iwo Jima Memorial. First donated in 1954, the Carillon was moved to its current location in 1960. It was a gift of the Netherlands to the United States in thanks for US aid during World War II.